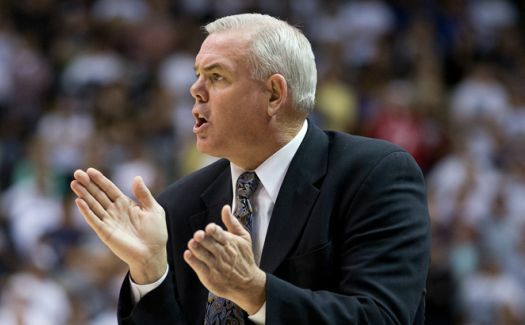 BYU director of athletics Tom Holmoe announced that men’s basketball coach Dave Rose has signed a contract extension through the 2020-21 season. With a record of 329-122, Rose is second all-time in program history in wins behind Basketball Hall of Fame inductee Stan Watts. Rose’s win percentage of 72.9 ranks him first all-time in BYU history and seventh among active NCAA Division I head coaches. Rose was named head coach of the Cougars in 2005 and has since led BYU to 13-straight seasons with 20-plus wins and postseason appearances – eight NCAA tournaments and five NITs. 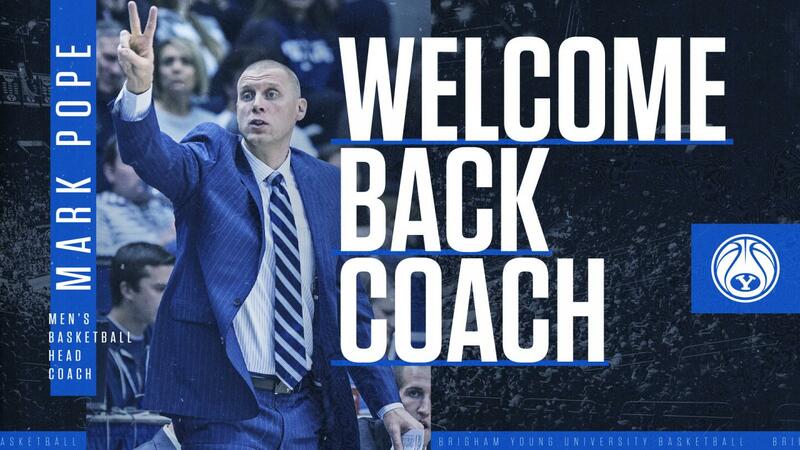 He is also a three-time conference coach of the year, two-time USBWA District Coach of the Year and has led BYU to four regular season conference titles. In his first season, Rose inherited a team that had won nine games the year before and turned it into a 20-win squad that earned an at-large bid in the NIT. Rose then led the Cougars to three-straight Mountain West Conference regular season titles, with each season finishing with an at-large bid to the NCAA tournament and at least 25 wins. Rose took the program to new heights the next two seasons. In 2009-10, BYU won 30 games and won an NCAA tournament game for the first time since 1993. The following year, Rose coached the Cougars to a program-best 32 wins and a trip to the Sweet 16 in the 2011 NCAA Tournament. BYU finished both seasons ranked in the top 25. Since 2011, Rose has accumulated seven more 20-win seasons, two appearances in the NIT semifinals in Madison Square Garden and three NCAA tournament bids. In addition to the team success, Rose-coached players have garnered numerous conference and national awards and set school and NCAA records. In 2011, Jimmer Fredette was the consensus National Player of the Year, winning several national awards including the Naismith Trophy and Wooden Award. Under Rose, six players have earned All-America honors, five players have been named conference player of the year and 13 student-athletes have received 21 first-team all-conference citations. Rose has also coached the top-two scorers in BYU history and the program’s all-time leaders in rebounds, assists, steals and 3-point field goals. In the NCAA record book, Kyle Collinsworth twice set the single-season record for triple-doubles and owns the career record. Off the court, Rose has demonstrated a commitment to the fight against cancer. Since coming to BYU, Rose, his wife Cheryl and the team have supported Mac’s Gift, which provides comfort to local families who face the challenges of raising a child who has cancer. A long-time supporter of the American Cancer Society’s nationwide Coaches vs. Cancer campaign, Rose was named a member of the National Coaches vs. Cancer Council in 2012. During the 2017-18 season, Rose won the ESPN Infiniti Coaches Charity Challenge to earn more than $100,000 for the BYU Simmons Center for Cancer Research. This fall, the Simmons Center announced that the prize-winning money has enabled them to create an endowment that will fund cancer research fellowships in perpetuity. The David and Cheryl Rose Family Student Cancer Research Endowment will provide student wages and fellowships to BYU undergraduate and graduate students conducting cancer research within the SCCR organization.